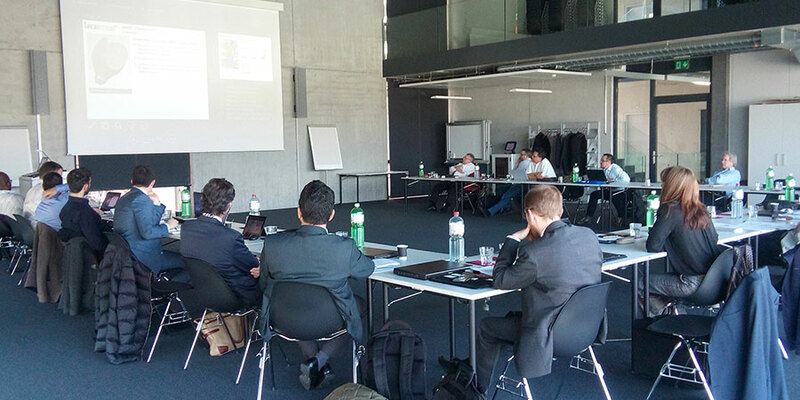 The OPENHYBRID 6th month meeting took place at Gudel Ag Langenthal, Switzerland (CH), on the 30th of March and at George Fisher (GF), Ipsach site (CH) on the 31st of March. All work package leaders were represented. There was a technical discussion between MTC, BCT, Gudel, GF, CRF, Siemens, Wier and HMT in the morning of the first day. After that, all partners did a tour on Gudel's facilities. During the afternoon, WP 1 to 5 were discussed. Day two started early in the morning at 9 a.m., where WP 6, 7, 9 and 10 were presented by the respective WP leaders. The plans for the next consortium meeting (M12) were made, and it will be hosted by EWF at November this year. After lunch, GF provided a tour on their facilities, first at the GF Machining Solutions Machine Technology Centre and after at the Mikron Agie Charmilles AG machine assembly plant. If you are interested to become part of the commercial application of the project's results don’t hesitate to contact us.